‘Every individual around us has a story to tell. It is up to us to listen to his tale.’ –with this feeling I began to read Urban Shots- Crossroads. Many times in life we reach a crossroads where we need to make a life changing decision. It is about those incidents this books talks about. 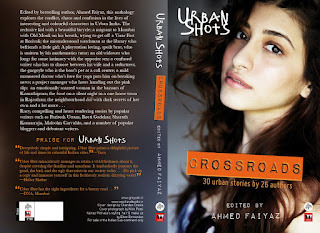 It is a pleasure to read 30 urban stories by 26 authors as it gives you a deeper insight into our otherwise mundane everyday lives. We ourselves never realize how interesting our life could be for someone else! ‘Urban Shots has the right ingredients for a breezy read…’ – DNA, Mumbai. This book has an interesting collection of writers with people ranging from popular writers, to bloggers to debutant writers – each story outdoing the other. A beautiful collection, undoubtedly! Amidst all the beauty, love and laughter in our lives there is also a place for chaos and confusion. We want somethings, we don't want something. We hate someone but cannot do without that person. We like someone but we like someone else too. We ourselves create so much of confusion in our lives responsible for the chaotic lives we lead. Perhaps we never realise this until one day we see someone else's simple untangled life! This book talks about people who are very much like us. Could be your next door neighbour, your colleague, your friend or maybe the stranger you just bumped into on the road. The stories narrated here are so realistic it makes you feel you are listening to someone narrate a personal incident to you. Plummet - A touching tale of a son trying to match his father's expectations. Categories - A riveting love story about how we categorize ourselves. She got off easy - About girl who eloped to get married to her lover. Crossroads - About a writer's confusion on the women in his life. The Gap - A single mom's battle to make amends with her teenaged daughter. Each story is narrated very beautifully and the emotions have been brought out very well. As you turn pages after pages you will feel the connection with each one of them at some point or other. 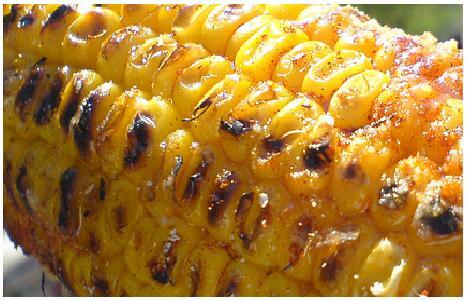 This book is like the roasted corn on a nice rainy day- Nice, hot, tempting, soothing, tasty and inviting. Love your description of the book with the corn (smile). I am not a reader of books but certainly understand and respect your likeness for these. Thanks for sharing my friend. Thanks! I am huge foodie and ofcourse needless to add a voracious reader. I combined both these tastes in my reviews...! Surely...please do that and let me know what you think!